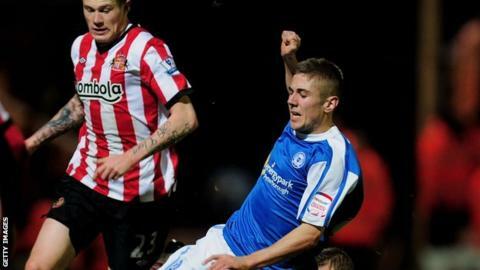 York City have signed Daniel Kearns on a one-month loan deal from Championship side Peterborough United. The former West Ham and Dundalk midfielder joined the Minstermen after playing in a reserve game on Wednesday. Kearns, 21, has returned to action after recovering from an injury which has kept him out so far this season. "I watched them [York] on Tuesday night against Fleetwood and I liked what I saw," the Republic of Ireland Under-21 international told the Posh website. "They play some decent stuff and it will be good for me to try and show what I can do. "I was injured half-way through pre-season and it came at the worst possible time for me, but hopefully now I can get out and play some games for York and help them move up the table."